I was going to make this the Product Placement of the Month for December, but I chose not to for two reasons. First, I think those posts cheapen the product. I like the Product Placements because they familiarize all of you with products I enjoy, but these posts sometimes feel like low quality work. Not to mention they also get less foot traffic. Second, Gabby (of Gabby’s Crazy Oats) is a very dear friend of mine and I just couldn’t do that to her culinary creation. Before I get the ball rolling on this one, let me just tell you she ships. So if you live outside of the St. Louis area, don’t leave just yet! Based on the post title and that opening paragraph, you may have deduced by now that Gabby’s Crazy Oats are in fact oatmeal cookies made by Gabby herself. Let me tell you, this girl makes some serious cookies. I like to think of her as a Keebler elf who makes wicked good human-size confections. A few years back, she was making these delectable treats for family and friends. People quickly caught on to how unique these oversized cookies were so in 2009, she made it official and set up her own company at the encouragement of her loyal clientele. During that same year she partnered with Straub’s Market, a gourmet grocer in St. Louis. Today, you can find her cookies in all four of their stores’ bakery sections. What was once just a pipe dream has become this entrepreneur’s reality. Did I mention she did all this while we were lowly nutrition undergrads at Saint Louis University? Needless to say, I was insanely jealous and super impressed. Now heading into the fourth year of business, Gabby’s Crazy Oats are carving out their own niche in the gourmet baking world of St. Louis. Much to the delight of her customers, she has expanded the variety of oatmeal cookie flavors and sizes offered over the years. One thing that hasn’t changed is her tried and true dedication to real, quality ingredients. I’ve said it on this blog numerous times, but an ingredient list can sometimes tell you more about a product than the nutrition facts label. If I can’t pronounce it, I’m not eating it. Well, these cookies are no exception to that rule. Each one of Gabby’s Crazy Oat cookies is made with the same basic dough recipe: rolled oats, flour, brown sugar, butter, eggs, pure vanilla, baking soda, spices and sea salt. That’s the order they appear on the label. For those of you who may not know, all food labels list the ingredients in order of weight. The ingredient with the greatest amount of weight is listed first; the ingredient with the least amount is listed last. Notice the first ingredient in these cookies isn’t sugar or butter; it’s rolled oats. Those of us the nutrition world like to see this. But don’t let this fool you, Gabby’s Crazy Oats are still dessert and shouldn’t be misconstrued for a breakfast item. However, should you want to eat one for breakfast, no judgment here. What’s more is these cookies are never frozen. Buy them in the store or have them shipped to you, they will never see the inside of a freezer. That’s a guarantee. Aside from their quality and freshness, there is something I love even more about Gabby’s Crazy Oats – they are incredibly unique. We’ve all had an oatmeal cookie before. 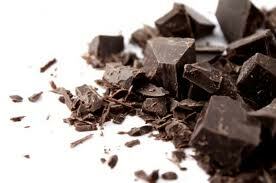 But Gabby takes it to the big leagues with flavors like Chocolate Peanut Butter, Cranberry Orange Almond, Dark Chocolate Cherry Walnut, and Espresso Dark Chocolate. These aren’t your grandmother’s oatmeal raisin cookies, that I can promise you. Straub’s Market describes the six-ounce cookies as ‘honkin’ big beauties’ and they are exactly right. They are large, in charge and absolutely scrumptious. Gabby’s Crazy Oats are the perfect holiday treat. They have a wow-factor all their own and are sure to be a hit at any holiday party. They also make wonderful gifts for Christmas or New Years! Don’t want to spend your weekends slaving away in the kitchen? Wrap these up and give them out, just be sure to keep them in their packaging to ensure freshness. With their homemade quality, your family and friends are sure to be impressed. 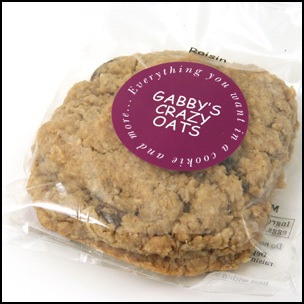 Gabby’s Crazy Oats tagline reads: “Everything you want in a cookie and more…”. And let me tell you, it couldn’t be more right. She asks for 3-5 days for local orders, so be sure to give her enough notice! You can also hop on over to your nearest Straub’s and pick one up today. 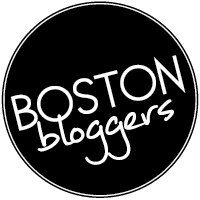 If you live outside the St. Louis area, contact her by email at berragm@gmail.com to place your order. You’ll thank me later.